hop'n'roll Mix & Match Styles Up To 50% Off At Gymboree! You are here: Home / Great Deals / hop’n’roll Mix & Match Styles Up To 50% Off At Gymboree! hop’n’roll Mix & Match Styles Up To 50% Off At Gymboree! hop’n‘roll Mix & Match Styles Up To 50% Off At Gymboree! Gymboree has it’s new hop’n‘roll mix & match separates on sale this weekend for up to 50% off! 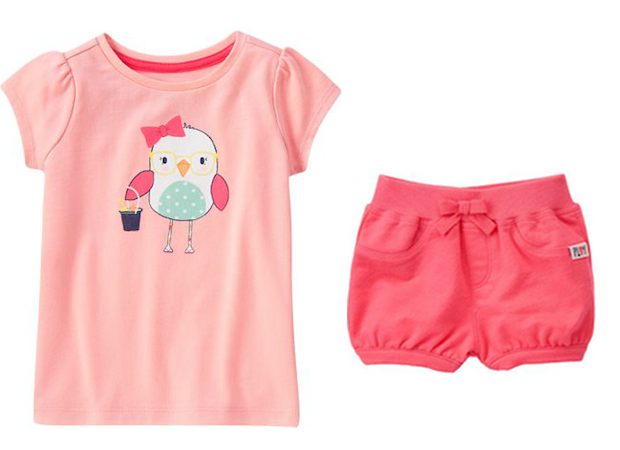 Get this Beach Bird Tee or these Bubble Shorts for just $8 each! There are some stinking cute items in the hop’n‘roll Mix & Match Styles Up To 50% Off Sale At Gymboree! Check them out now!